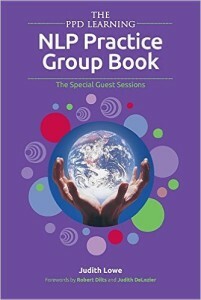 I am really proud to be included in this fantastic book ‘The NLP Practice Group book’ from Judith Lowe and PPD Learning. I have written a chapter called ‘Be More Creative’ based on my work around creativity and NLP. With forwards from Robert Dilts and Judith Delozier and chapters from Dido Fisher, Paddy Bergin, Anne Deering, Juliet Grayson, Lynne Cooper, Simon Horton, Chris Howell, Judith Lowe & Muriel McClymont, this book represents PPD Learning’s ongoing contribution to the field of NLP and our joint commitment to the ethos of practice being at the heart of what we feel NLP should be about! I was on a Robert Dilts workshop with PPD Learning in 2011. The workshop was called ‘Energising Collective Intelligence’ and part of the workshop was to connect with your vision and mission using ‘field intelligence’ and metaphor. I had a really strong image that kept on repeating itself, that my work was ‘like’ being a lamp that lit the fires of other lamps across the world, creating a network of light. At the time I was unsure how this related back to what I was trying to achieve with my work, and I left it to sit in my unconscious mind. Six months later I was in Santa Cruz at NLPU and the same metaphor came back to me, and I had one of those light-bulb moments: The lamp for me represented my creativity and if I could touch the world, helping to ignite creativity in my clients, giving them something that they could pass on to people that they touch, this was my network of light that I had envisioned 6 months earlier on the Robert Dilts seminar! My work since then has been to research within the NLP and surrounding fields, modelling everyone from artists to musicians to dancers, to mathematicians to parents, people who identify themselves as creative and people who don’t. Creativity exists within all of us, it is a process that we tap into whether we are aware of it or not! The process of creativity although the form and content of which, will be deeply personal and often unique to each individual is a process of building connection, and like all processes can be modelled and taught. The best description I have found for this process of creativity is that creativity exists as the relationship between our conscious (cognitive) and unconscious (somatic) minds. It is also worth noting that this relationship is often triggered by an external stimulus. So in a way it can be seen as an internal relationship that needs an external relationship to function in. Louis Conzolino (Author of The Neuroscience of Human Relationships) has a theory that inside of us are ‘Social Synapses’: Synapses that are only activated in an external relationship and I think that creativity is an example of this. Of course in NLP we have had this idea for a while (as 3rd Generation NLP) through the work of Robert Diltis, Judy Delozier and of course Judith Lowe and it is often referred to as the ‘field mind’. I have also drawn from the work of Iain McGilchrist and his seminal book ‘The Master and his Emmisary’ which for me is one of the best books that describe how our left and right parts of our brains interact with each other, how this relates to what we describe as the conscious and unconscious minds and how the brain connects to the body. Like all maps I use this one because I find that it provides a useful description and helps ground the work I do on creativity with a theory of how we have evolved as humans. 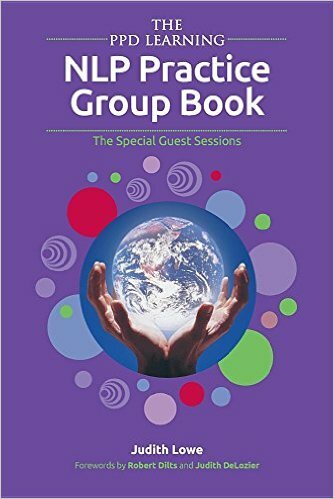 The promise of NLP as laid out in Frogs into Princes was to make the world a more ‘groovy’ place and I think that giving your participants the tools to allow them to be more creative in their lives is fulfilling part of that promise.